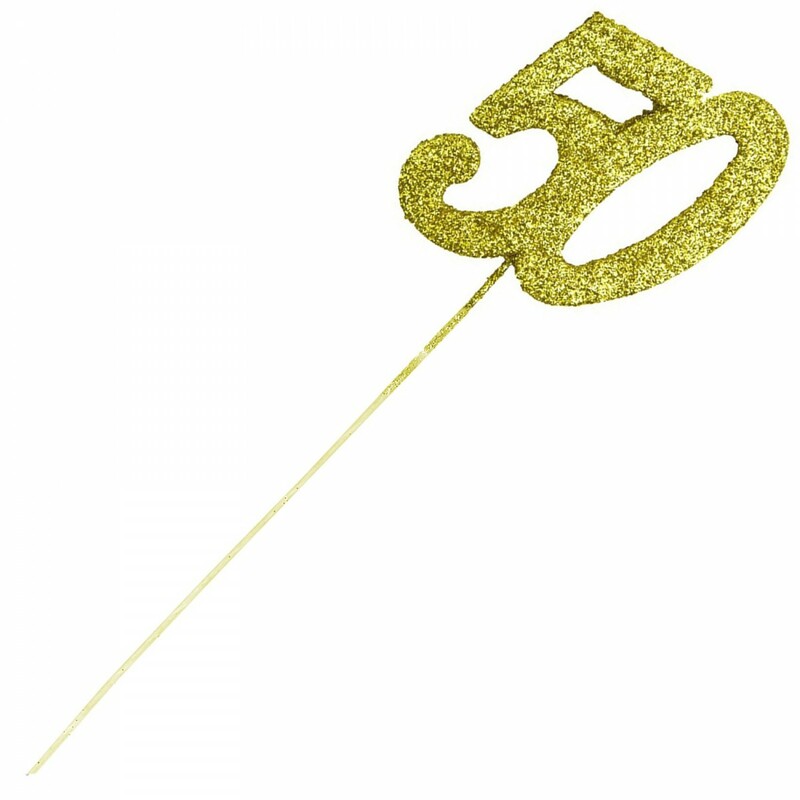 Perfect for a birthday or 50th anniversary cake, works well as a centerpiece or added to a flower spray. 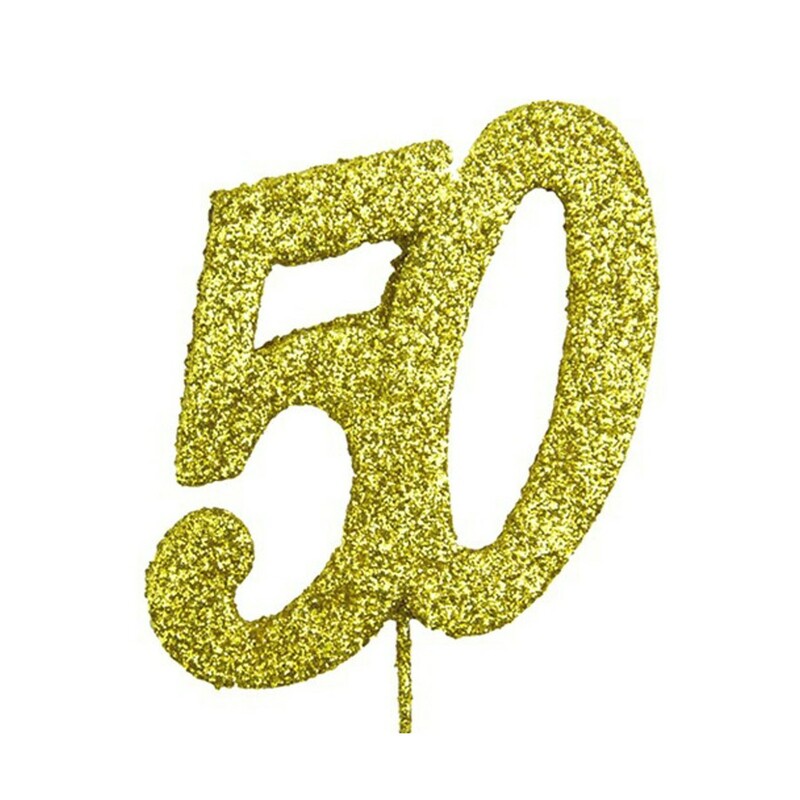 This number 50 decoration is covered in gold glitter and adds a touch of sparkle and class to any cake. Wire can be easily cut to length using scissors or wire cutters.